Your having a second baby, you have a single stroller you love but you know there really isn't a good way to cram two babies in there. Yeah you might wear your new baby in a sling or carrier for a while but do you really want to wear them all the time? But wait.... double strollers are bulky, heavy, awkward... yeah okay you can just make the single stroller work. BUT WAIT... CUE Disney Land... you put your 6 month old baby in the single stroller because you are also chasing your 3 year old around. 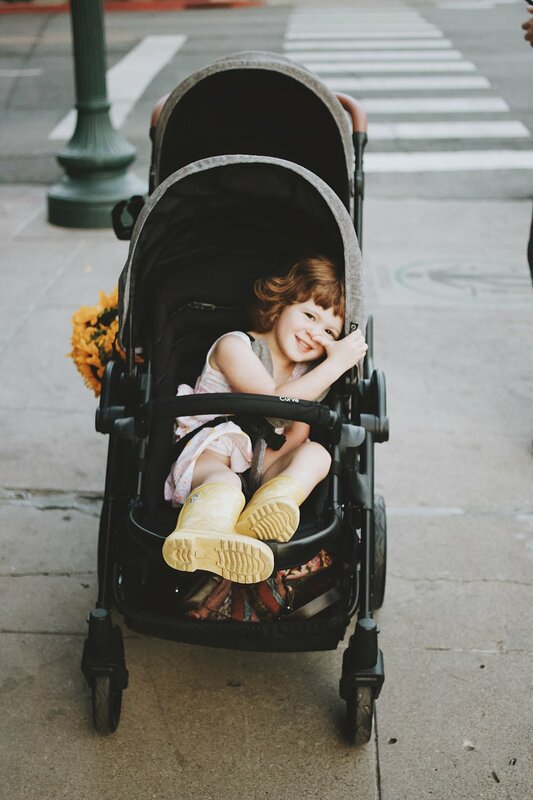 It is hot, tiring, your 3 year old is starting to melt down... her feet hurt, her legs are too heavy to walk, BUT you already have a 6 month old asleep in your single stroller what do you do? if you actually are me and lived this situation you put your 3 year old shamelessly into the basket under the stroller buried in a pile of diapers, souvenirs, and sunscreen so she can take a nap and you can watch people snicker and giggler at you as you walk around Disney for the rest of the day. NOT ideal but hey it did the trick. SO let me ask again is that double stroller sounding good right about now? 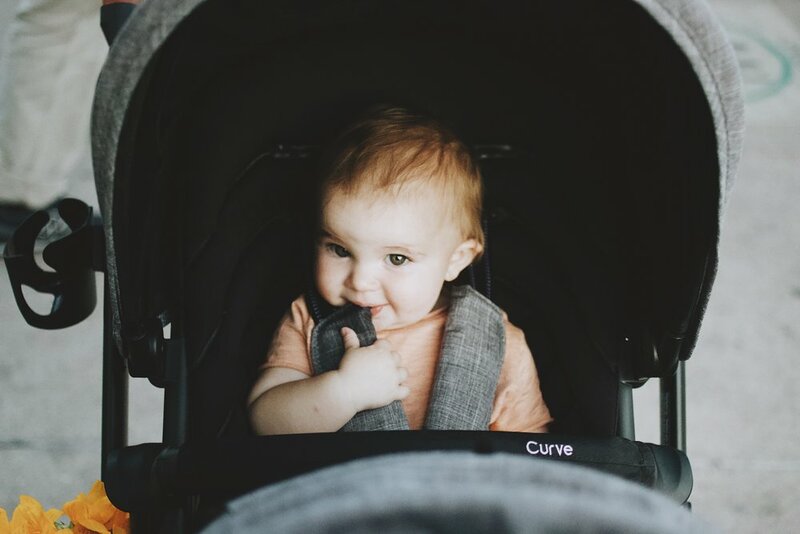 Enter the Contours Curve Double Stroller... we have been using this stroller for about a month now (and yes this is sponsored BUT this is my honest review and my honest stroller horror story). When the stroller first came I was a little intimidated by the box... we had a single stroller previously that basically needed an army of engineers to put together and I was sure I couldn't do this on my own. So I let it sit in the box for a week and hoped it would just assemble itself. (it didn't) When I finally did take it out of the box I realized it was easy... the instructions weren't in some weird hieroglyphics and it literally took me 5 minutes to put the stroller together. This stroller is actually really easy to fold down too... you do need a full sized trunk to transport it, it definitely doesn't fold flat BUT it wasn't an unreasonable size. We took it with us on a short weekend to Durango and I was super pleased with how it performed. The Contours Curve Double Stroller is designed with 6 wheels which is awesome because it turns really well... I once pushed a double stroller that was literally like driving a tank and swore that would never be me. This stroller is not that, it is a reasonable size so you can actually take it to restaurants and into stores AND it goes up and down curbs really easily. Wandering around Durango was so easy and I didn't feel like I was in anyones way and the girls had so much fun riding together. Basically if you want a stroller that isn't like pushing some sort of giant vehicle down the sidewalk and praying people move out of the way this is the stroller for you. We are actually planning on taking it on our road trip up to Washington in a few weeks because I think it will be great in Portland and Seattle and other cities where we want to walk but don't necessarily want to have to carry one or both of the girls around. Oh also it has a really good sized under basket which I have used now to carry my purse, camera equipment, and random famers market goods I picked up while out with the girls. SO I am not saying I have solved the double stroller debate when you have more than one kid. BUT we are really impressed and happy with the Contours Curve Double Stroller and it definitely has solved all the problems I had with just using our single stroller and put to rest all my fears about having a double stroller. If you have any questions about the Contours Curve Double Stroller please leave them below. 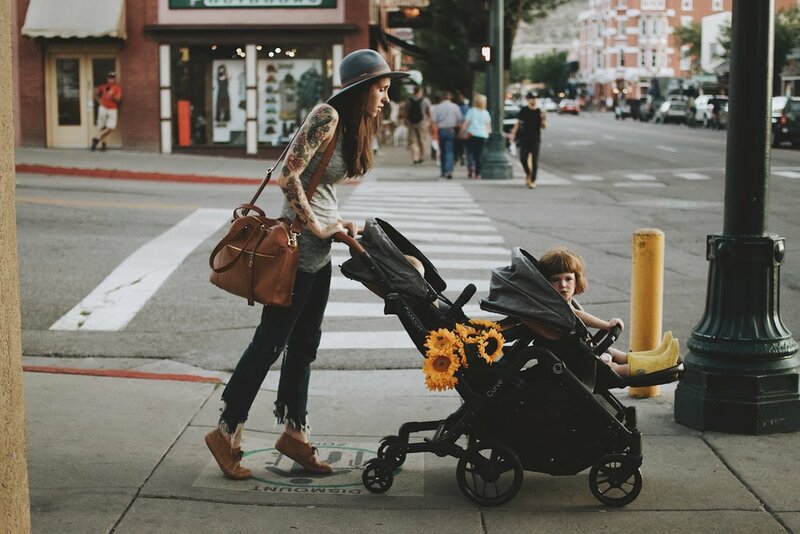 AND if you have your own stroller horror stories I would seriously love to hear them! PS. You can find the Contours Curve Double Stroller HERE we have it in the color graphite gray.